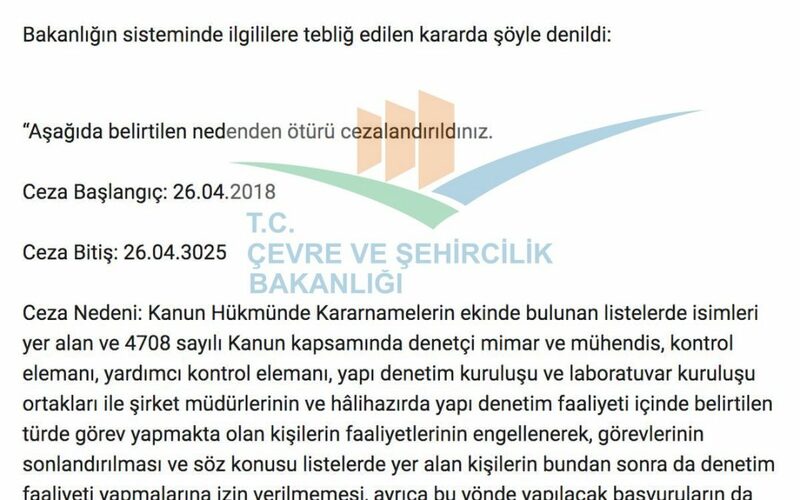 Architects and engineers who were removed from their jobs at public institutions with post-coup emergency decrees, has been banned from serving as building inspector until the year 3025, media reported. A recent notice, allegedly sent by the Environment and Urban Ministry to the dismissed architects and engineers, said they are not allowed to work as auditors or controllers at building inspection companies until 3025, Yeni Asya newspaper said on Wednesday. Turkey Purge has yet to authenticate the notice. More than 150,000 people have lost their jobs in the face of the Turkish government’s post-coup crackdown against its critics. The State of Emergency decrees have earlier banned those dismissed from being rehired at public institutions.